The closing session will be on Friday at 10am. Join us for a five day painting intensive with artist Amanda Sage at CoSM, Alex & Allyson Greys art sanctuary just one hour north of New York City. This is a perfect introduction or expansion into exploring the vast possibilities and uses of the Mischtechnik. Directly translated from German to English, Mischtechnik means: ‘mixed technique’. It was discovered by the Van Eyck brothers in the early renaissance and was revived by the Austrian painter Ernst Fuchs in the 1950’s. It has been adopted by many painters working with fantastic and visionary subject matter, as the transparencies and use of light in developing a painting are exquisite. Traditionally one uses white egg tempera to build up volume and then glazes in oil. There are many contemporary variations of the Mischtechnik, and the wisdom and genius behind the layers has much to reveal. During the intensive we will explore various uses and examples of materials through presentations and hands on experience, as well as creating a painting using a version of the Mischtechnik. Participants are welcome to work in oil or acrylic or both. 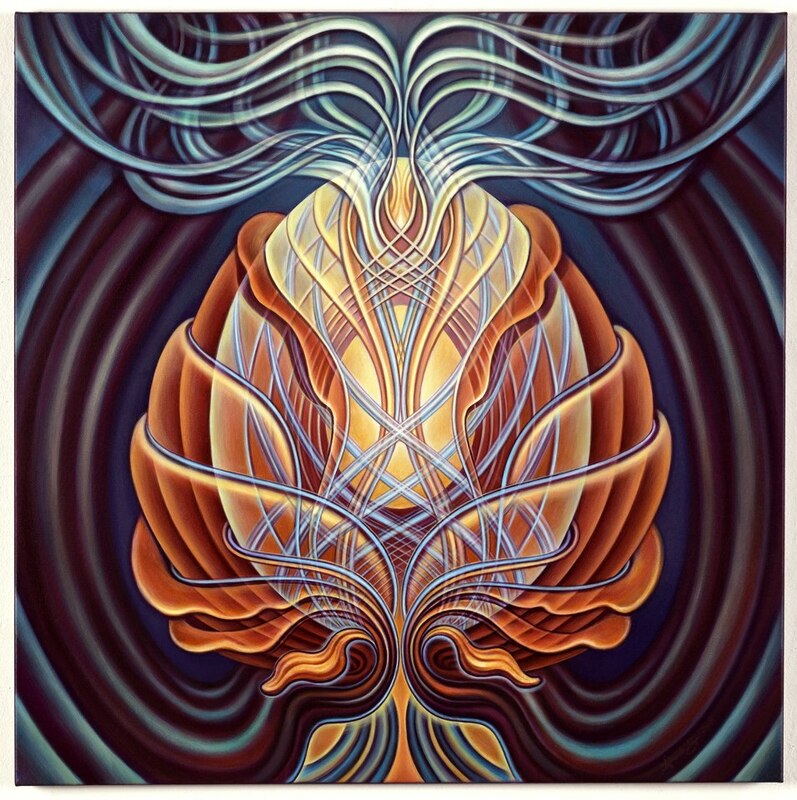 As an artist, ambassador, and visionary icon, Amanda Sage brings her own unique mix of painterly wisdom and intuitive insight to the canvas. After attending the Waldorf school of Boulder Colorado, her adventurous spirit brought her first to Bali, then Vienna, eventually landing in Michael Fuchs’ studio, where Sage apprenticed for two years in the Old Master’s techniques of etching and painting. Michael Fuchs introduced her to his father, Ernst Fuchs, whom Sage began assisting on different projects in Vienna, Monaco and the Apocalypse Chapel in Klagenfurt. In the year 2000, she was awarded a studio at the WUK (Werkstätten- und Kulturhaus), a Viennese cultural center and artists’ collective, where Sage served as administrator and member of the board, organizing open studios and cultural events. 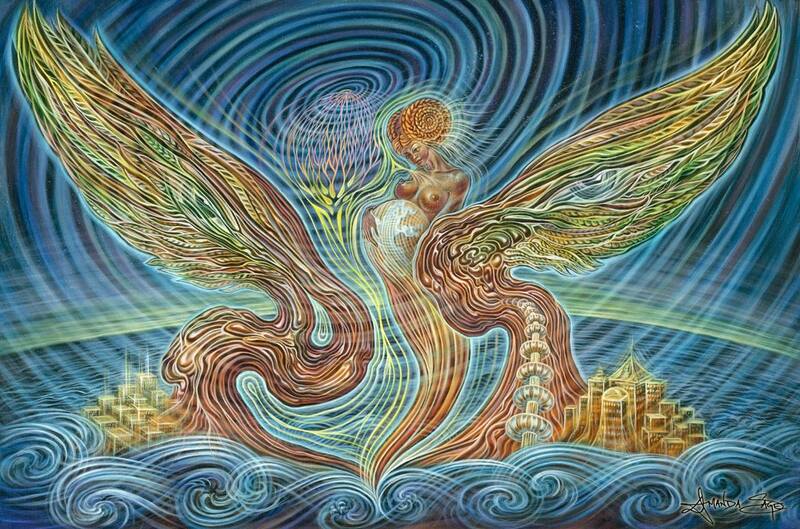 In 2007, she began to exhibit with the growing Visionary Art movement in the US. This led to her relocating to Los Angeles and becoming an influential personality in the transformational festival culture, as well as participating in multiple exhibitions & initiatives worldwide. 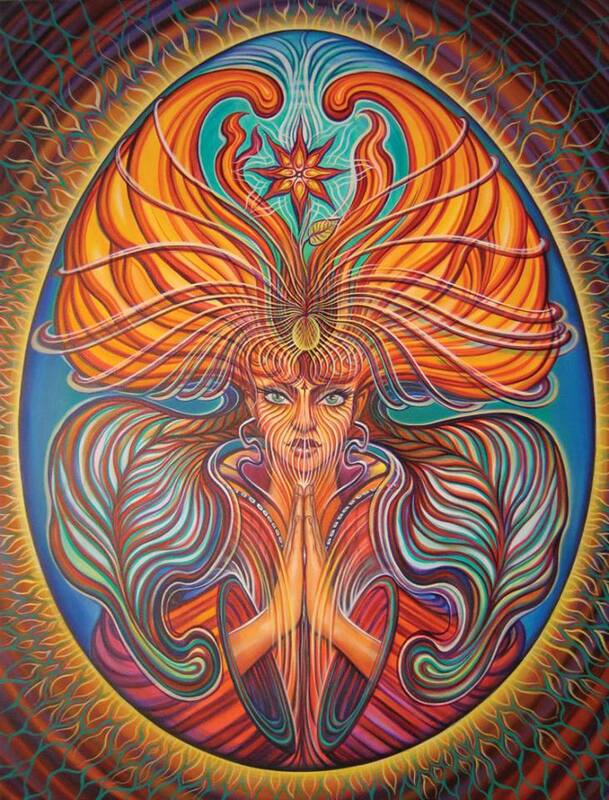 The art of Amanda Sage is characterized by strong figure-work and portraiture, accompanied by energetic waves of intense color. Each of her paintings is like a portal, opening unto infinite possibilities of seeing and expression. 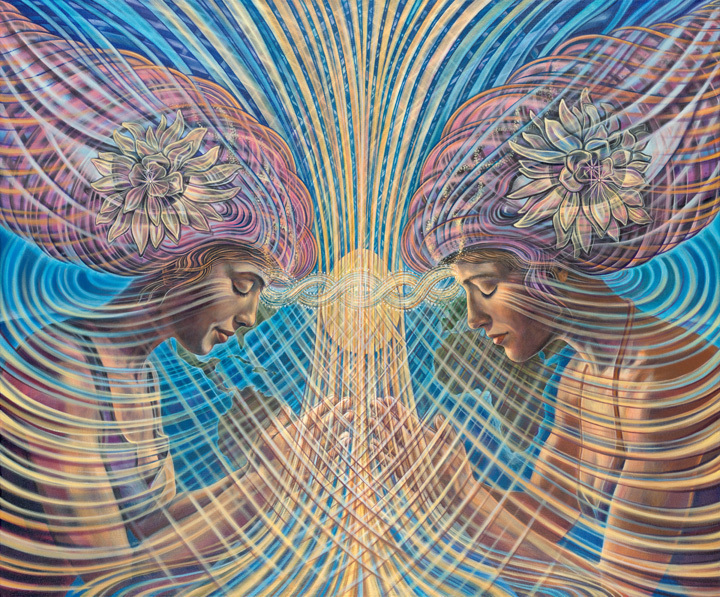 Amanda Sage is at the forefront of a new breed of visionary artists, using art as a tool for personal, spiritual and planetary transformation. An adept of Live Painting, she now tours the world, delivering lectures, holding workshops in Colorado, Chicago, Los Angeles, Australia, Italy and Vienna and painting live while exhibiting her works. 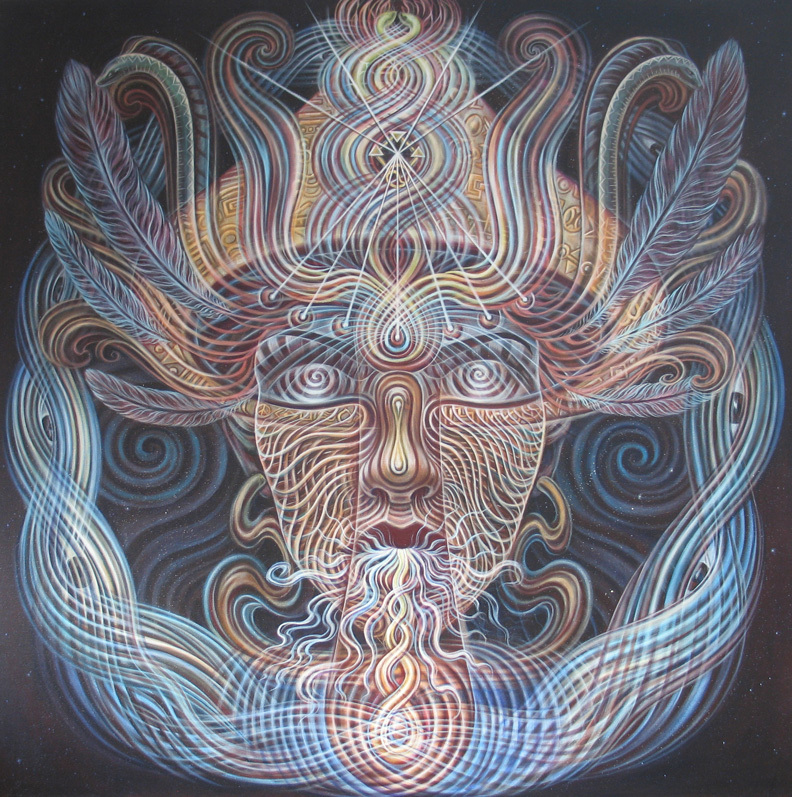 She is a member of the Board of Trustees of CoSM, and has been instrumental in the founding of the Vienna Academy of Visionary Art that opened its doors in the fall of 2013. During the week there will also be complimetnary Chi Kung classes in the morning before class to get you tune up for the day. - Activate/Cultivate/Direct your creative energies. - No previous experience with Chi Kung needed.